Chrome OS is still in the process of having Android apps rolled out to various Chromebooks and Chromeboxes, but that doesn’t mean further improvements are coming. According to a post on ChromeUnboxed, it looks like Android Nougat 7.1 support will be coming at some point in 2017. Currently, Chrome OS devices that can run Android apps are running them based on the Android Marshmallow 6.0 API set. For most of us, that’s fine. There is however one big bonus to having things move over to Nougat: Multi-Window support. 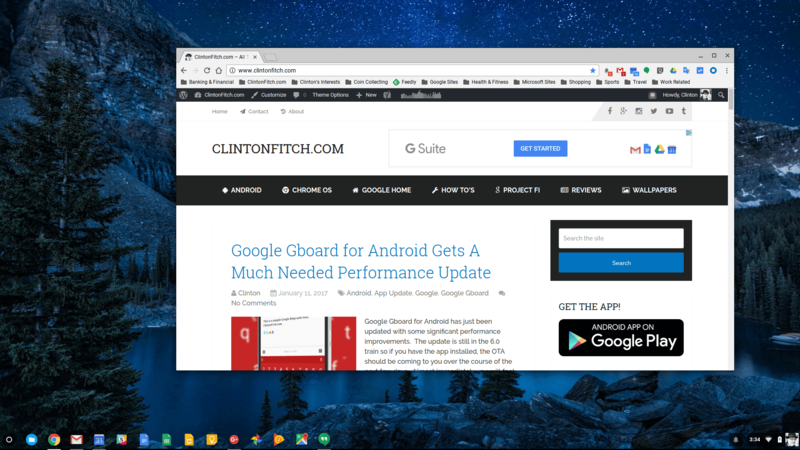 Right now if you run an Android app on your Chromebook, only one app at a time can be displayed, just like it was on your Android phone running Marshmallow. With Nougat, the ability to show multiple apps and resize those windows comes into play and that could be a real game changer. Along with this comes true multi-tasking too. content or where you are going back and forth between apps (which is a manual process right now), it becomes a bit of a challenge. So when will this all roll out? Not soon more than likely. Chrome OS 56 is out on some devices and the January 18th update (there or thereabouts) is rumored to bring Android apps to a much larger swath of Chromebooks. All of that will be based on Android Marshmallow. Chrome OS 57, which is in the beta and developer (canary) channel, has Nougat in the developer channel but not in the beta channel yet. By my guess, that means we are at least 6 months away from seeing it. For now, be excited about Android apps in general. This, I firmly believe, will be a game changer for the platform as a whole. But also be excited that the work does not appear to have ended with them being introduced. Further development is happening and that is always a great thing to see.